Please RSVP and register so we can give the hotel an accurate headcount of how many lunches to prepare. Because we are required to provide a guarantee of attendance to our facility and our website does not allow us to transfer funds between events, we have a NO REFUND policy for the Lunch & Learn. By making a payment to our site, you acknowledge that you have read and agree to the above No Refund Policy. However, we do realize that exceptional circumstance can take place with regard to the membership that we serve. 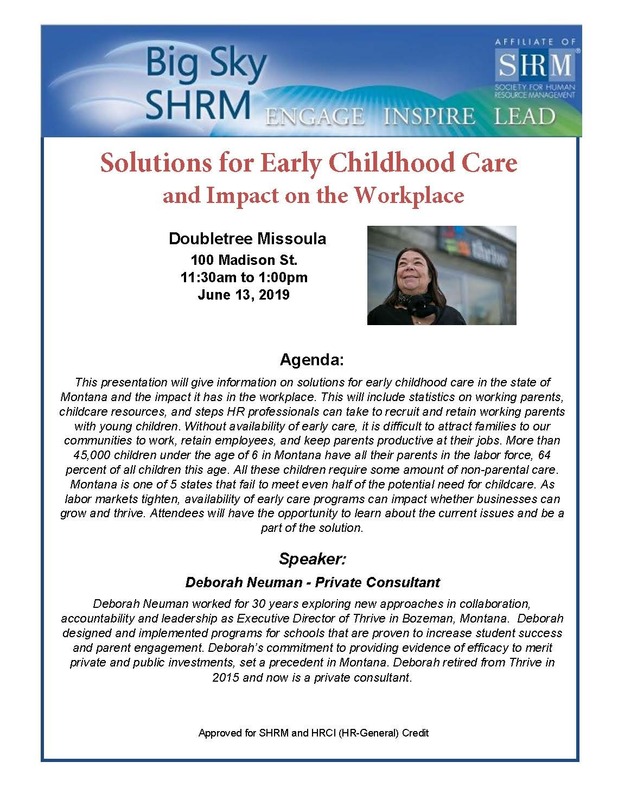 Please contact our treasurer at treasurer@bigskyshrm.org with further inquiries.